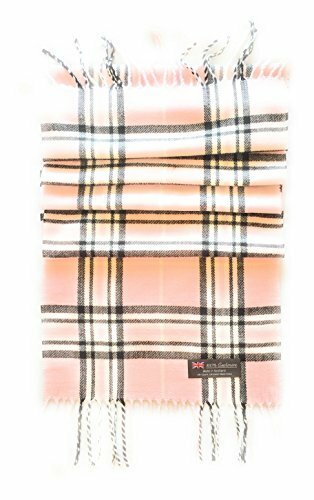 100% Cashmere Scarves are Made in Scotland! Super Soft & warm! Spruce up any outfit with these beautiful, soft & cozy cashmere scarves! Great size at 12" wide and 5 1/2' long. Everyone loves Cashmere! Dry clean or hand wash only. If you have any questions about this product by 100% FROM SCOTLAND, contact us by completing and submitting the form below. If you are looking for a specif part number, please include it with your message.